When West London-born singer and entrepreneur Estelle Swaray (@EstelleDarlings) hit the U.S. music scene in 2008 with John Legend-produced—and platinum-selling— hit “American Boy,” everyone couldn’t help but watch and enjoy the British flavor. 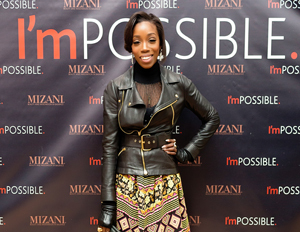 Born from a Senegalese mother and Grenadian father, Estelle got her start as a hip-hop artist (Who knew? ), and in 2004, with singles “1980” and “Free,” she won a MOBO Award for Best Newcomer. 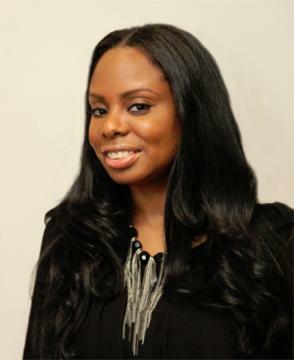 BlackEnterprise.com caught up with Grammy award-winning artist and New London Records founder before she sat on a panel of power women at the ImPOSSIBLE Conversations event in New York City. She talked about the true power women have to be leaders and what it takes to be a global boss in the music industry. BlackEnterprise.com: What can women do today to truly be powerful leaders? Estelle: I think it’s about just embellishing on what we’ve been doing: Owning. Helping each other. … Working in the music industry, I get to see behind the scenes, and [sometimes] women tear each other down vs. helping each other up. But at the same time, there are examples of women I’ve seen helping one another, hiring within their team—within their circles—and I think there’s nothing wrong with that because men have been doing it for years. So, it’s important to look out for your girls and keep the support going. Being both an artist and music entrepreneur, what’s your advice for young women who want to be a success in the music industry? It’s a cutthroat business. You have to be tough—and you might get called the B-word. But at the same time you have to be feminine. Just follow your gut, always do the right thing—karma’s real—and be positive. There are so many people who will tell you how and why you can’t or shouldn’t do something, and they’ll try to [push] you into being negative, but always remain positive. Being on the global landscape as a black woman from the U.K., what are your thoughts on women spreading their wings internationally and surpassing cultural boundaries? Remember, it’s the same energy, different currency. (Laughs) You have the [diversity] of black women, but we have similar issues, personality traits and challenges. I’d encourage women to travel, travel, travel. Go to Paris. Take a 3-day trip to London. Save up what you need to save up, and live. Try not to worry about costs or fears. Just live and do it!